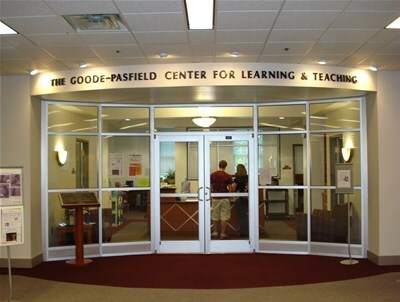 The Goode-Pasfield Center for Learning & Teaching provides students with a comfortable, welcoming place where they can realize their academic potential as independent and resourceful learners. The Center features programs for students at all levels of academic accomplishment. The Center for Learning & Teaching is located on the first floor of Fintel Library. Looking for the Teaching Collaborative? Click here!